To the delight of many, Mary Poppins has indeed returned to theaters with “Mary Poppins Returns”. 1964 first showcased the original Disney classic starring charming and talented Julie Andrews. All these years later, the lovely, “practically perfect in every way” nanny has come full circle. How is this relatable to our man Elvis? In May of 1966, the original movie’s popularity coupled with The Sound of Music saw the land down under deciding on a promotion for it’s star Julie Andrews. RCA Australia produced an advertising flyer proclaiming in bold red print, “May is Julie Andrews’ Month“. For this end, SP-55 was manufactured – a 12 inch 33 rpm white label RCA Federation promotional long play disc, with the express purpose of enabling Australian commercial radio stations to promote the latest releases of Miss Andrews. Again, how is this relatable to our man Elvis? The clever Aussies needed to fill the less important B side of the recording. Late in 1965 RCA had reissued 10 Elvis singles that became known as the “Portrait Series”. The design used for these super rare and totally unique sleeves came from 5 drawings taken from photographs of Elvis. Each design was used twice but with different colors. The pathetic drawings on these flimsy paper sleeves were amateurish at best and just plain ugly, hardly selling as a result – and now are extremely rare. Yes, and how does this relate to Julie Andrews and Elvis? While SP-55 was conceived to promote 5 Julie Andrews LP’s which were available in 1966, someone at RCA decided to place Elvis’ 1965 “Portrait Series” on the B side, likely as an afterthought. This haphazard short circuited connection produced what is one of the rarest Elvis records in the world. The SP vinyl disc was manufactured by RCA in Sydney Australia with a plain cover and was never for sale to the public. Promos like this were usually destroyed after the promotion ended. Usually …..
Elvis (side-2 ) sings “Fame and Fortune”(edited) / “I Want You I Need You I Love You” / “A Big Hunk O’ Love “ / “Surrender “ / “Don’t” / “Hound Dog“. Julie (side-1) sings “My Ship “ / “These Precious Things “/ “I Could Be Happy With You “ / “ Like Jim “ / “The Sound of Music “. Still searching for the relevance? This is the only time anywhere in the world that Elvis Presley and Julie Andrews were ever paired on a record together, and it is assuredly the one and only occasion that the King was ever relegated to side 2 and actually billed as an “alternative” on any label. Imagine Elvis Presley a B side, side 2, “alternative”? Surely the Colonel would have passed out. In over half a century these items have never been seen by his legion of fans and the story just told has never before been in print. The truth of this absurdity is both fascinating and remarkable and for it to remain untold and unseen is a total injustice. Some secrets need telling. You’ll notice Graceland’s stunning entry staircase is pictured. I was fortunate to take a wonderful recent trip there. It’s breathtakingly beautiful, awe inspiring in fact. The staircase represents the crux of the future. There are fifteen steps. Stand in the middle, seven up, seven down. This is exactly where EPE stands today. It’s said when Elvis lived at Graceland, you could often hear him before you saw him. He didn’t sneak about, he made his presence known. EPE can do the same, they have a choice to make. No need to relegate Elvis to the B side ever again. They are perched on that middle step. They can continue status quo, mansion tours of fans worldwide gawking at the King’s personal effects, however interesting they might be, and across the street museums filled with cars and nondescript awards piled so high nothing is readable. The gold glitters but the trees in the forest are hidden. Yes, interesting. The staircase currently leads down. The relatable “umph” is missing. The wow factor is replaced with “that’s nice, that’s interesting”. You see exhibits of likable stars such as KISS and Marty Stuart, with the promise of more to come such as Prince and Marilyn Monroe. Again, likable – but relationally void. Much like the pairing of Julie with Elvis, the relation makes no sense. The fans worldwide, the International faithful, deserve more. No one journeys thousands of miles to Graceland to see KISS. EPE can rise to the occasion, bounding up the stairs figuratively to the next level. They can provide an exhibit showcasing items which provide a valid connection between the man and the rest of the universe – such as this Australian story of the Nanny and the King. 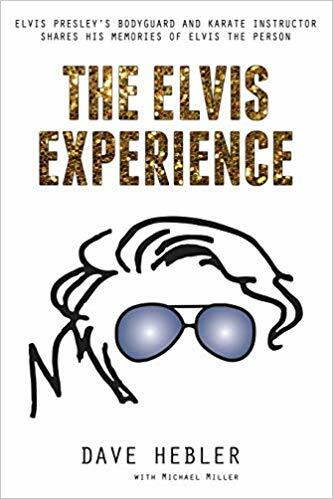 A multitude of Elvis stories and items like this abound, providing the Aussie fan with a link, the U.K. fan, the South African fan, the Italian fan, the Spanish fan, the German fan, and the Japanese fan. Yet there is nothing there representative of the fanbase that has always proudly proclaimed their undying love and loyalty. Elvis loved and respected all of his supporters, giving proper reciprocal fanfare. As EPE moves on, evident by the bulldozers and machinery on site, it is important to remember our American son Elvis reached far beyond the red, white, and blue borders. Love doesn’t see color and cannot be contained. It was and is exponential in nature. International adoration will never box us in. Some things are always better shared. Respect will never be unfashionable. It will return the more it is given away, back to it’s source in a far more plentiful state than one can ever imagine. Elvis becoming synonymous with International relations can only enhance all corners of the EPE machine, leaving a multitude of visitors happy, educated, and informed, and likely to tell others and to return again. It’s an end result with no losers, only winners – even for those who were once mistakenly relegated to side B.